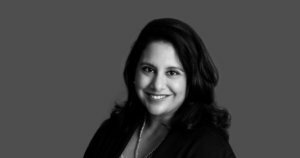 President Donald Trump recently interviewed Indian American Neomi Rao, in efforts to replace Supreme Court Justice Brett Kavanaugh on the federal appeals court in Washington, D.C. According to a Washington Examiner report, she was recommended for the judgeship on the D.C. Circuit by former White House counsel Don McGahn, and though sources say that she did not leave Trump with a good first impression, he has not ruled her out of contention yet. Rao is currently an administrator of one of the Office of Management and Budget’s sub-agencies, and she was a former clerk for conservative Supreme Court Justice Clarence Thomas. In addition, sources say that Trump was interested in appointing a minority woman to Kavanaugh’s old job. Kavanaugh’s confirmation process was delayed due to sexual misconduct allegations, which he denied. He was then confirmed by the Senate and sworn in earlier this month to become the nation’s 114th Supreme Court justice, the Washington Examiner reported.